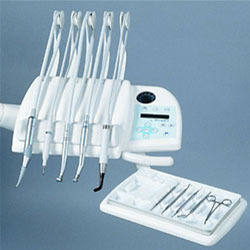 Our product range includes a wide range of dental instrument panel, dental cleaning bowl and dental treatment devices. 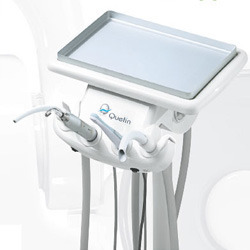 We are instrumental in offering premium quality Dental Instrument Panel to our valuable customers. Available with us at industry leading prices, these panels are compact, precisely designed and are easy to use. With the aid of our rigorous quality testing unit, the optimum quality of the offered panels is maintained at the times. 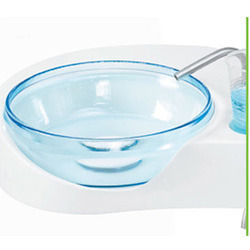 We offer premium quality Dental Cleaning Bowl to our valuable customers. Offered by us, these offered cleaning bowls are used by dentist for cleaning different dental equipment and instruments. By using rigorous quality assurance checks, the premium quality of the offered cleaning bowls is maintained. The assistant’s panel is a true workstation and so ergonomic that there is room for two or four hands. A complete range of instruments can be added to the suctions cannuals. Hygiene is no problem anywhere on this stand. In particular, the smooth silicone suctions tubes with balanced return can be disconnected and are autoclavable . Looking for Dental Accessories ?